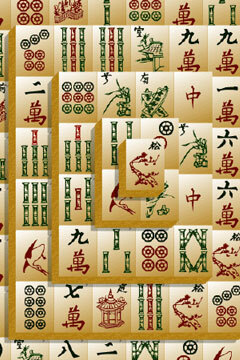 Mahjong comes as a game that has originated in ancient days of Chinese civilization. It has still remained as a popular game across Asian people, more precisely for people living in Singapore, Japan, and Hong Kong. This game has been spread also in Western countries and due to this fact, its original format has seen a transformation brought in by some of the countries that have adopted it. There are many articles written on the way of playing this game, on the strategies that can be included during the playing, but this article is meant to try a different approach to the game focusing mainly on mahjong tables. If you are a mahjong player you must know already that the game itself begins with manually shuffling the tiles, but there are some locations where the noise that these tiles make during shuffling can disturb the people from around. This can happen mostly when this game is played inside closed areas, such as apartments for instance, where this noise can be amplified making it to become more annoying. Apart from this factor, when talking about Mahjong tables, there is also the factor related to the 'feel' of the game where the type of table definitely affects this factor. This is the reason why you will see many Mahjong players bringing in their own set of tiles to start a session that was previously planned. Considering these factors, many of the companies involved in manufacturing various tools for playing games, have taken the responsibility of designing and building various styles of such tables in the attempt to come forward the Mahjong players' needs. Taking it generally, we can say that t here are 4 types of Mahjong tables: standard, foldable, mini and automatic. The standard types are the most common ones. These tables can be folded once in order to save the space for storage and their dimensions come in either 33" or 34". The foldable type of table will enable you to fold the table up to a smaller size - 1:10 ratio of the original format. In this way there is provided an easy storage of this item. Not to mention that it makes its carrying around a lot easier than with any other type of Mahjong table. As to the mini tables, they come usually in 1/3 size of the standard style. You should know that these styles are not meant to be used for playing, but rather for decorating purposes. Many choose to have them presented even as special gifts. They come most of the times with mini tiles being sold as a Mahjong set. These sets display as well delicate imprints in a miniature size making them be so appreciated for the decorative purposes. Automatic tables come with pre-game setup including features such as shuffling the tiles, throwing the dice, and racking of tiles. I have always been fascinated with puzzle, card games and Mahjong in particular. After reviewing puzzle games in the 80's and 90's I began consulting to newspapers and schools about crosswords and other puzzles and this site is dedicated to Mahjong and relevant online resources. Feel free to contact me with any idea you have the can contribute to this website on my contact page.